Any Indian snack like pani puri, gol gappas, bhel puri, samosa, is incomplete without tamarind chutney or imli ki chutney or commonly called Saunth chutney. Saunth chutney because of the saunth or ginger powder which is added in this chutney. 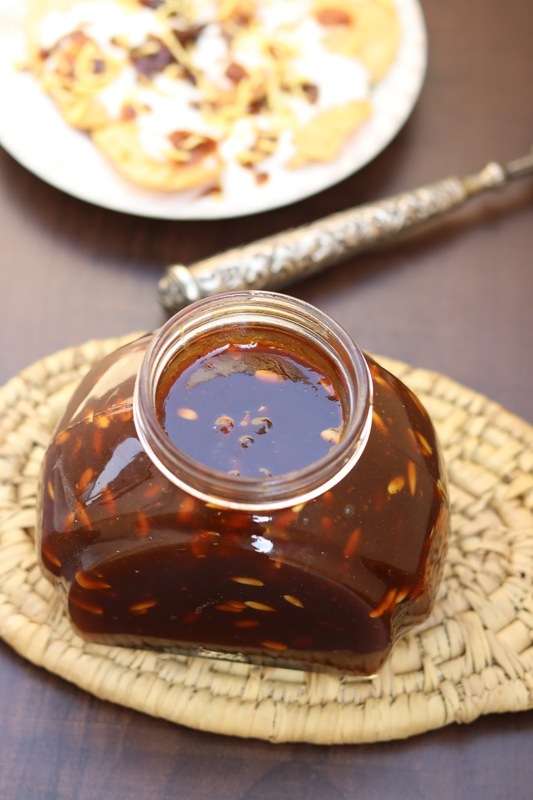 This is yummy, delectable chutney which increases the flavour of any snack. Learn how to make this sweet imli ki chutney at home using jaggery. 1. Soak the tamarind in water for 1 hour till it becomes soft. Then sieve out the tamarind pulp to get maximum pulp. Add water as required. 2. Take the tamarind pulp in a pan. Add jaggery and melt it on medium flame. After 10 min, the mixture will start to get thick. Cook for another 10- 15 min. 3. Once the tamarind chutney becomes little think, add all the spices mentioned above along with melon seeds and raisins. Mix it well. 4. Cook till the desired consistency is achieved. Cool the chutney completely and store in airtight container. 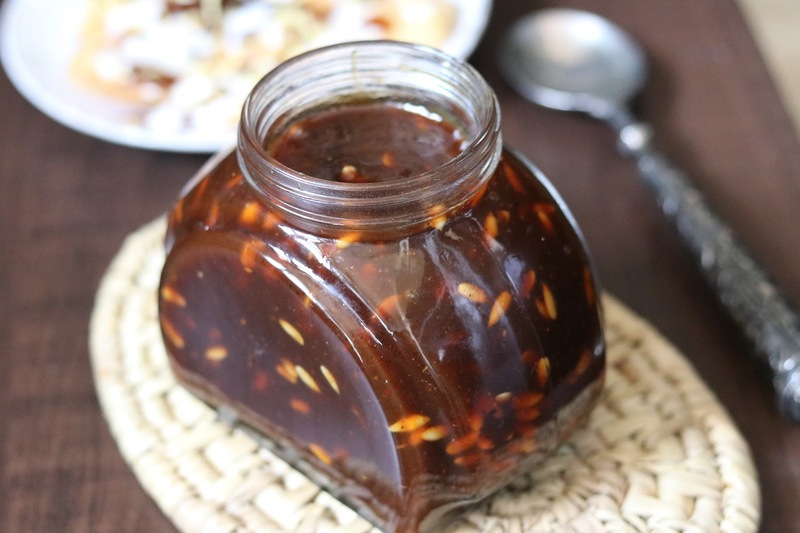 Serve this sounth chutney or tamarind chutney with all the Indian snacks.